He's bringing his expertise to Martian survival game Rokh. 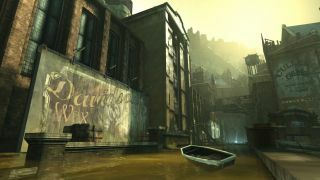 As art director and conceptual artist for Half-Life 2, and as visual design director for Dishonored, Viktor Antonov was responsible for the art direction of two of the best cities in games: City 17, and Dunwall. You can bet I'm interested in his career comings and goings, then, and it's just been announced that he's joined a relatively new studio named Darewise Entertainment. Darewise's debut title is Rokh, a multiplayer survival game set on Mars, and in his role as chief creative officer, Antonov will primarily put his stamp on the various vehicles, drones, robots and weapons found in the game.